Introduced in 2014, the Land Rover Discovery Sport is the successor to the Land Rover Freelander 2. JLR is celebrating sales success of the SUV by introducing a special edition model - Land Rover Discovery Sport Landmark. Land Rover has sold more than 3,50,000 units of the Discovery Sport globally. Land Rover sold 1,26,078 units of the Discovery Sport globally last year, creating the best single-model annual sales record in its 70-year history. There are more than 3,50,000 Discovery Sports plying on the roads now. The Land Rover Discovery Sport Landmark edition features a unique colour and trim combination, and it is equipped with the best of the Land Rover Discovery Sport range. Customers can choose from three exterior colours for the special edition model: Narvik Black, Corris Grey, and Yulong White. Irrespective of the exterior colour selected, the roof is painted in a contrasting Carpathian Grey colour. Graphite Atlas exterior accents and 19-inch Style 521 ‘Mantis’ design wheels finished in Gloss Dark Grey round up the exterior. Inside, the Land Rover Discovery Sport Landmark edition has Ebony grained leather seats, Ebony headliner and dark grey aluminium finishers around the centre stack. Two engine options are available: 2.0-litre Td4 diesel and 2.0-litre Si4 petrol. Both the engines are from the Ingenium family. The diesel engine produces 180 PS and 430 Nm of torque, while the petrol engine develops 240 PS and 365 Nm of torque. The diesel engine is coupled to a 6-speed manual transmission or a 9-speed automatic transmission. The petrol engine is available with only a 9-speed automatic transmission. Needless to say, an AWD system is standard. Last year, the Discovery Sport recorded the best single-model annual sales in Land Rover’s 70-year history. 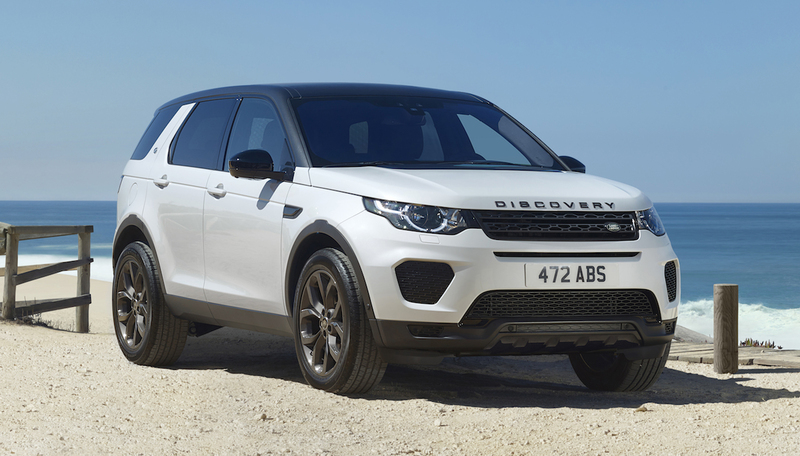 The Land Rover Discovery Sport Landmark edition is available exclusively in the 7-seat version. Its prices start at £40,400 (INR 36,32,123.82) OTR in the UK. Land Rover hasn’t announced it in India yet.